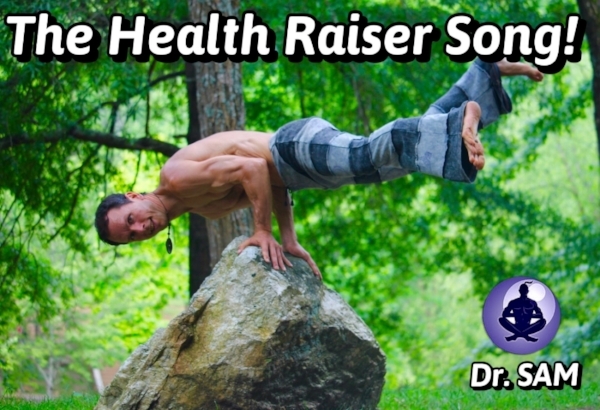 To Listen to Dr. SAM's Health Raiser song, just click the "Play Button" Below. "Get Ready To Raise Some Health!" This song will definitely “raise you up”—by motivating you, inspiring you, energizing you, and elevating your mood! It’s just the right dose of musical therapy that will have you moving, dancing, smiling, and singing along for sure! The song opens the heart, enlightens the mind, and speaks to the spirit. It’s a collective call to humanity for an awakening and empowerment toward better health and a better life—for ALL! If you need some inspiration to become healthier; want a good exercise or workout song; or you're just looking for a fun and upbeat dance or party tune to celebrate with, then this is it! Purchase your copy today— and start “Raising Some Health” right away!